Happy Independence Day to US readers! 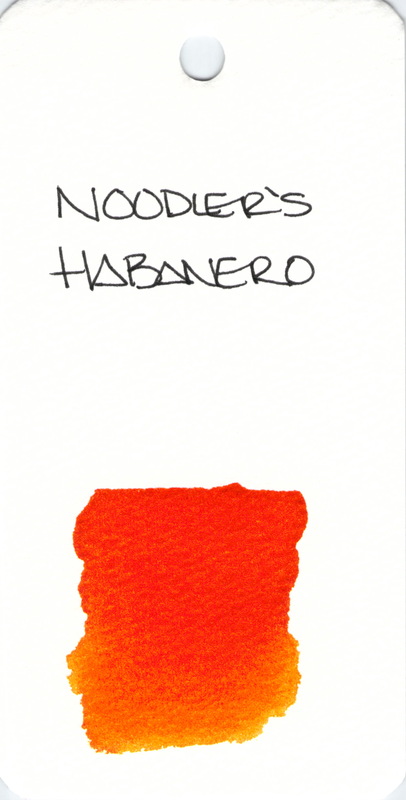 Noodler’s Habanero is a beautiful ink. It has lots of potential for shading and the color is stunning on most papers. It’s a super-duper-no-kidding wet writer. 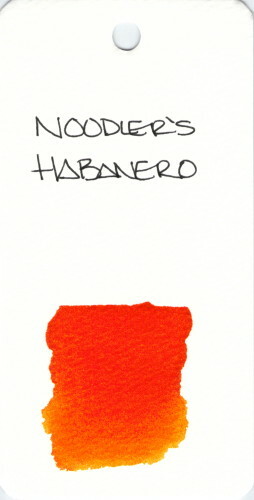 This entry was posted in INKS, LOVE and tagged ink swab, noodler's, orange by Christine (Pentulant). Bookmark the permalink.